April is #CelebrateDiversityMonth! Creating better communities around the world begins with a commitment to celebrating the diversity in our cities and counties. 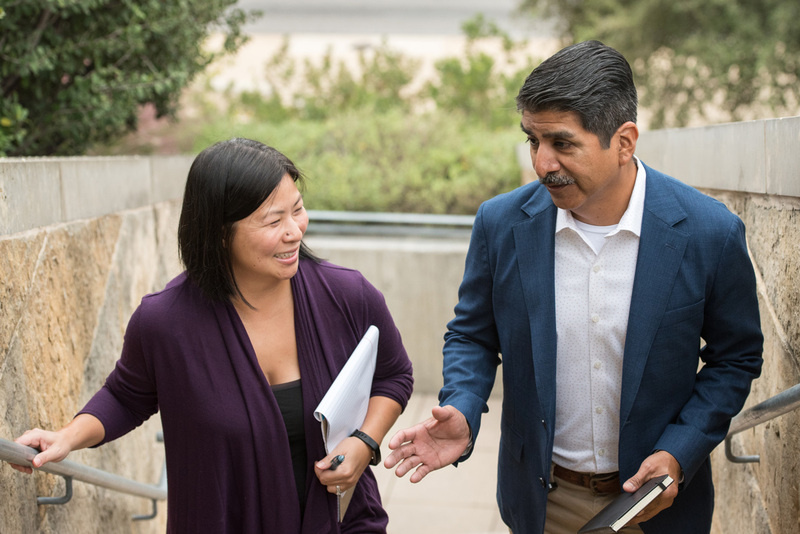 The community that won a 2018 ICMA Local Government Program Excellence Award for Community Diversity and Inclusion exemplifies this commitment through its programming and communication with residents. Flossmoor, Illinois, a village in Cook County renowned for the quality and architectural variety of its housing stock, has a picture-perfect, small-town America look and feel; however, its 9,400 residents are a microcosm of the larger world in their diversity. After completing a resident survey in 2017, staff and elected officials confirmed what they had been hearing informally: That in spite of racial and economic balance on paper, residents didn’t feel that Flossmoor was living up to its tagline, “Welcoming. Beautiful. Connected.” The village decided to do something about it. The village and the commission have staged other low-cost programs and events to make it easy for residents to connect with each other and with staff members. Village Manager Bridget Wachtel, Assistant Village Manager Allison Deitch, and staff have made it a multiagency effort by involving the local school and park districts. 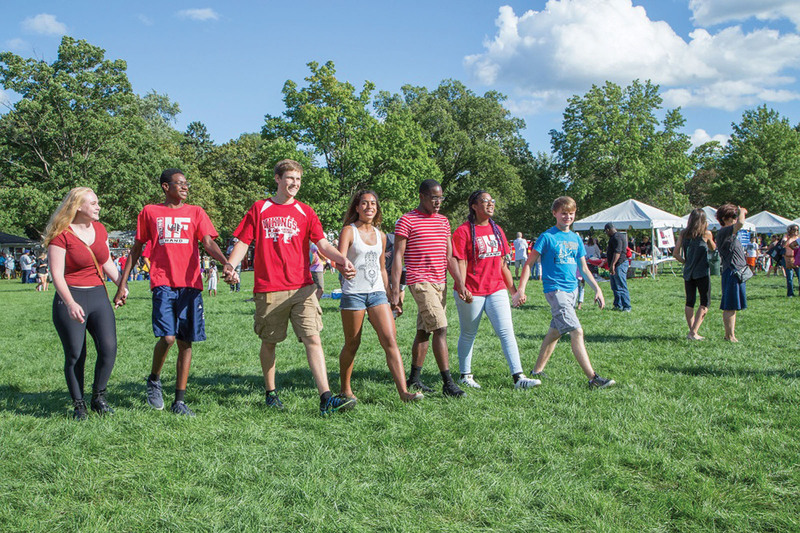 Some of their signature events include Martin Luther King Jr. Day of Service, the New Resident Mixer, and "Chalk the Walk" on the first day of school. Flossmoor emphasizes its diversity in its communications by using photos of residents and families in their branding. The village also became the first south suburban community to list LGBTQ resources on its website. ICMA had a chance to catch up with Village Manager Wachtel and Assistant Village Manager Deitch to hear an update on their initiatives and learn more about their award-winning strategies for community programming. ICMA: Why was it important for the Flossmoor community to refocus energy on inclusive programming? Wachtel and Deitch: When we gave residents an opportunity to share their opinions, they told us that while diversity was one of our greatest strengths, it was also considered a weakness because there are segments of the community that didn’t feel united. The village board had enough foresight to pick up on this as a strategic issue and make it a priority in our 2017 Strategic Plan. We’ve [also] watched events unfold in Chicago and across the country that show what can happen when a portion of the community is disconnected from the local government. Being intentionally inclusive in community activities and events isn’t just about the events; community events are just an avenue to open lines of communication that didn’t exist previously. We think it’s important to be proactive. If an incident happens that threatens to tear apart our community, at that point it’s too late to start building relationships. ICMA: What were some of the lessons learned from the new and renewed events the commission helped to implement? Wachtel and Deitch: We have had to leverage informal relationships in the community to connect with residents. We can’t just rely on formal advertising and marketing, or even social media, to get the word out about events in the community. There are people who don’t pay attention to any of those means of communication. We have increased our communication with homeowners groups and school leaders and made a point to connect with residents as soon as they move into Flossmoor. ICMA: What challenges, if any, did you face when revitalizing the commission or planning the events? Wachtel and Deitch: We have wonderful volunteers, but our staff members have to step in to guide the group or close gaps. When we take on a new event, we underestimate the amount of staff time it will take to get it done. Our efforts in community events have been part of a larger conversation about race and inclusion in Flossmoor. Not everyone wants to have that conversation and it is challenging. Leading this conversation means finding ways to make progress and bring people along slowly. Further, managing people’s expectations on what we can accomplish and what can or should be volunteer-led versus staff- or official-led has also been challenging. Community engagement and relationship building can take a lot of time, planning, and resources, and can be difficult to measure. The board’s commitment to this initiative has been instrumental in staying on course and dedicating the kind of effort needed, especially when the results have not been as obvious as filling potholes. ICMA: As winners of the award for community diversity and inclusion, what advice would you offer communities, especially small communities, looking to infuse inclusion into their community programming? Wachtel and Deitch: These programs aren’t expensive. We have a part-time program & event coordinator and a small budget. Our New Resident Mixer, for example, has a budget of less than $1,000. This year, we’re holding the mixer at the public library. The venue is free and we’re exposing new residents to one of our community gems. Inclusive community programming can’t exist in a vacuum. Consider other opportunities to be more inclusive. In addition to our community events, we have made changes to our police department recruitment process, we are in the process of training our entire staff in the concept of implicit bias, and we’re looking at ways to increase the diversity of our staff and vendors. Our 2018 Program Excellence Award winners share their tips for sustainability. Olathe, Kansas, one of last year's Local Government Program Excellence Award winners, shares its tips on strategic leadership.